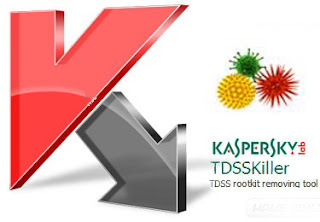 Kaspersky TDSSKiller 2.7.26.0 is a removal tool by Kaspersky against the TDSS rootkit. There are malware such as rootkits, that normal antivirus are struggling to remove. In cases like these, you can use a specialized tool such as Kaspersky TDSSKiller. Kaspersky TDSSKiller 2.7.26.0 is a tool developed specifically to remove dangerous malware family Rootkit.Win32.TDSS: Tidserv, TDSServ, and similar Alureon rootkit lurking in the master boot record. Kaspersky TDSSKiller is really simple to use. Once started (the program requires no installation), you will need to press Start to begin a fast analisidel scan your system. For more effective operation, please do this by restarting your computer in Safe Mode. Kaspersky TDSSKiller analyze the boot sector (MBR), services and system drivers. The application will report the suspicious items in yellow and red hazardous waste. There are three possible actions: ignore, delete or quarantine the malware or rootkit detection. Finally, Kaspersky TDSSKiller 2.7.26.0 automatically stored under the directory C: \, a report on TXT file with the report of the analysis.